Super Savvy Mommy: April 21st-Eco Store USA Giveaway!! April 21st-Eco Store USA Giveaway!! How important is your family's health to you? Does it matter to you whether or not you breathe fumes while cleaning? Do you want to have to rinse your cleanser off of your counters in order to prepare food on it? If you are anything like me, these things are very important to you. I had never really given Eco-friendly cleaning products a thought until I found Eco Store USA. Not only do they make Green Cleaning Products but they also sell products for your pets and babies too! I absolutely love their Baby Sleeptime Bath and Baby Shampoo. They not only smell pure and fresh but they help Dexter to smell Oh So Clean!! How many of you remember my Eco-Sink Review? Our eco friendly, plant-based household cleaning products are as effective as the leading supermarket brands, and our body and baby care ranges are gentle on your skin and are simply beautiful to use. Our pet care products let you spoil your pets with our nourishing, rich blends of ingredients and show them how much you care by reducing their exposure to unhealthy chemicals. All of our products are made from plant- and mineral-based ingredients, free of toxic chemicals that bring people closer to nature with non-toxic, environmentally safe solutions that also help to reduce our carbon footprint. Our products also help to ensure value for the dollar for our customers. We know it can be expensive to buy natural or organic products but we’ve found a way to safely super-concentrate our formulations. Our super-concentrates means that a little really does go a long way - saving you money by cutting down significantly on cost per use. Thank you thank you thank you to the Wonderful Lyne over at Eco Store USA for offering DSSM readers the chance to win (4) $25 gift certificates!! Yeah! You will also get FREE SHIPPING on your order. If I could suggest any ONE product, it would be the citrus spray! Ok, all you have to do to win is head over to a href="http://www.ecostoreusa.com">Eco Store USA and tell me at least one thing you would buy with your gift certificate besides what I have already spoke about). Comment here with that answer and DON'T FORGET to leave your email address!! Your reviews were just fabulous & when visiting the website I was so happy to see they did indeed have a Pet Care line. Pets are my passion & the ear cleaner & the hypoallergenic shampoo were a real happy find! I'm sure I would buy them first! Thanks! I'd love to try the rosemary orange shampoo. I would want the rosemary and orange shampoo and conditioner for my hair. I would like to try the Laundry Powder. I would purchase the lemon rinse aid, the toilet cleaner and the baby nappy balm. 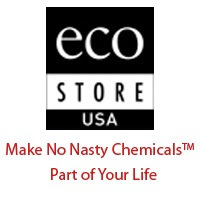 Ecostore USA has the most wonderful products and a huge selection! I am wanting to try the Baby Nappy Balm (what a fun name!, and also Baby Sleepytime Bath! If Baby Sleeps, Mommy sleeps!! I love Ecostore's Philosophy and all their natural products! I emailed 5 friends and included a cc to you. I would buy the front load laundry powder. I'd have to say any of the cleaners! Please enter me! I love ecostore products and what the company stands for! Thank you for hosting this wonderful giveaway! Thanks for the link....In my never ending quest to find eco friendly products I'd love to try the liquid laundry & the whitener. I like the Rosemmary Orange Shampoo. I'd totally buy toilet cleaner!!!!! i'd load up on coconut soap! I'd like to try the baby nappy balm. I would buy the Baby Soap, Coconut Soap and Vanilla Soap. I'd buy the laundry liquid. Thanks for the giveaway! I follow you on blogger. I am new here. the hypoallergenic pet shampoo for my kitties. I love giving DS a massage after his bath, so the Baby Massage Oil looks incredible. I would get the Coconut soap.